Steam the eggplant for about 3 minutes. Let it cool down. Place mozzarella cheese and tomato mixture on the eggplant and make it into a wrap. 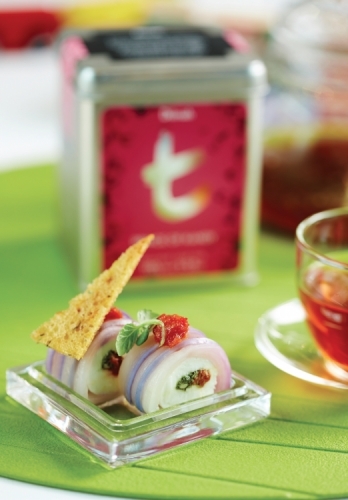 Place the eggplant rolls on a plate and garnish with the cress and toasted bread.